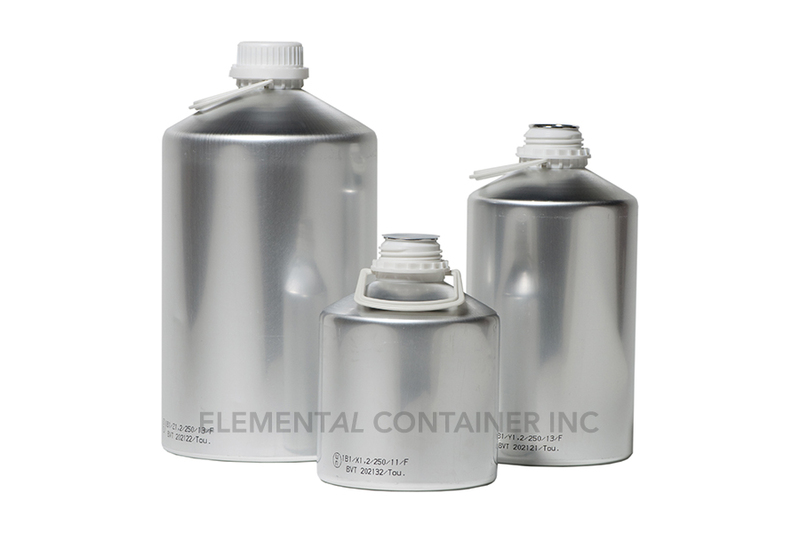 Active ingredient aluminum bottles by Elemental Container are lightproof, leak-proof, rustproof and vapor-proof to ensure the potency and quality of active ingredients including vitamins, oils and bulk antibiotics. They offer a very good barrier against moisture, light and oxygen. 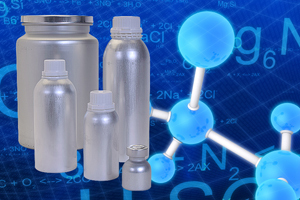 We offer bottles for both liquid and powder products. Ranging from 1,350 ml (48 oz.) to 26 liters (915 oz. 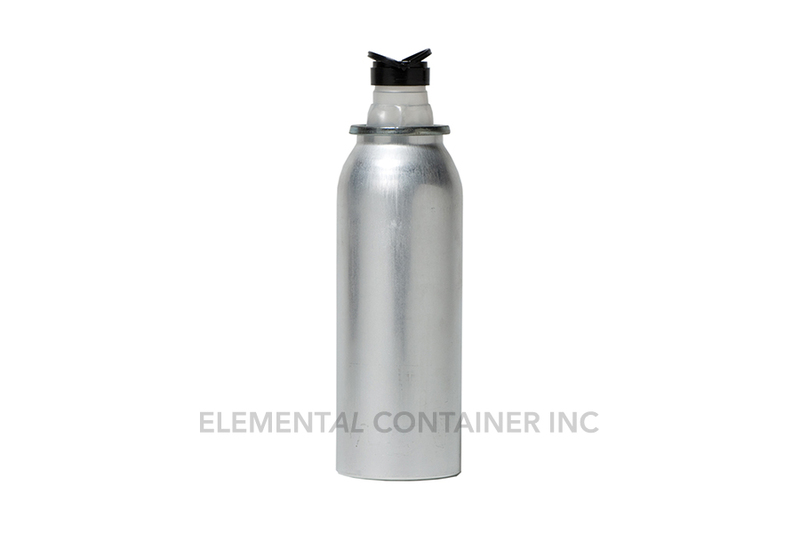 ), these industrial aluminum bottles are used to pack liquid products and features a flexible spout. 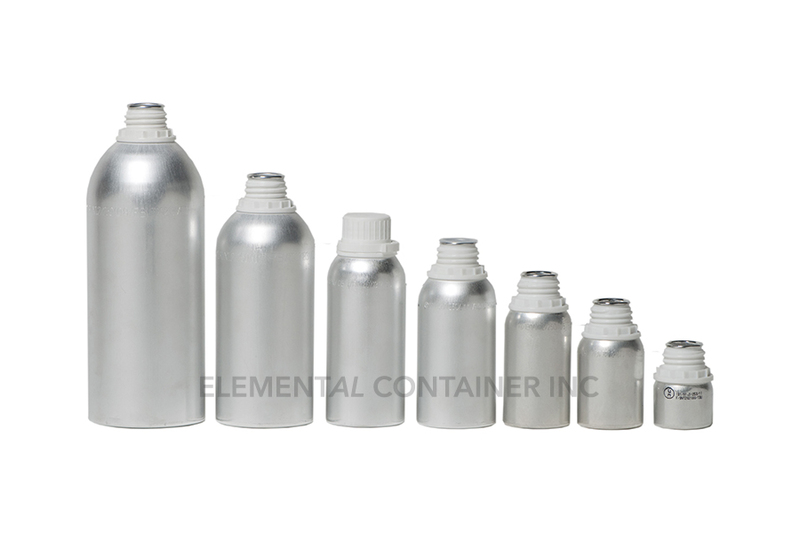 The Type 0220 industrial aluminum bottle is similar to the 802/835 bottles but features a larger opening. The inner neck diameter is 220 mm (8.66"). 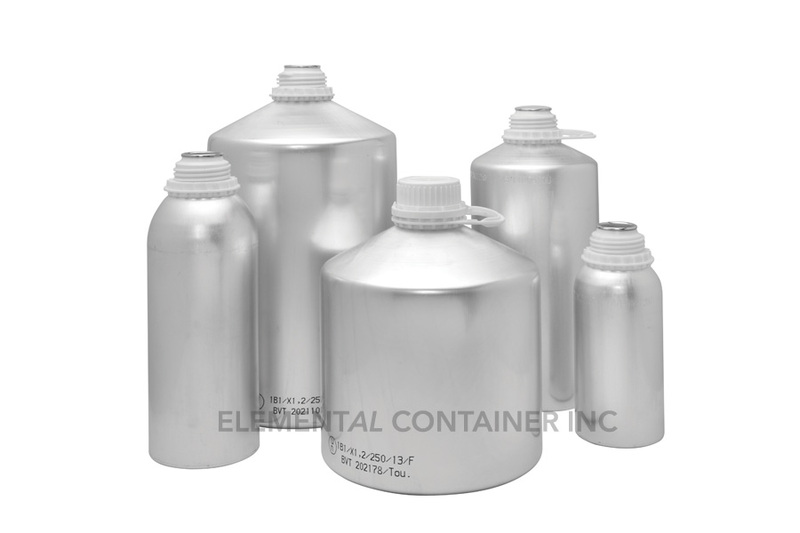 Capacities range from 12,500 ml (440 oz.) to 30 liters (1,056 oz.). 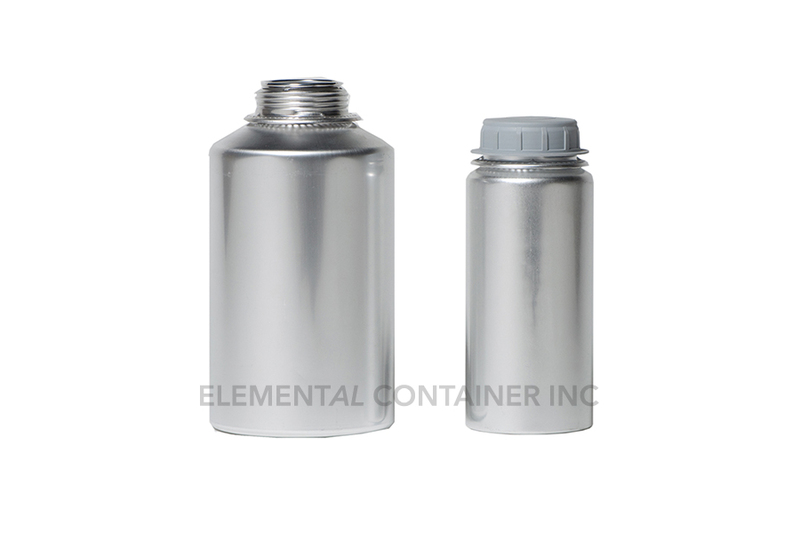 Also ideal for powder packaging, the 0220 model features a closure system using an aluminum lid with a clamp. With capacities of 2,500 ml (88 oz.) to 32 liters (1,080 oz.) 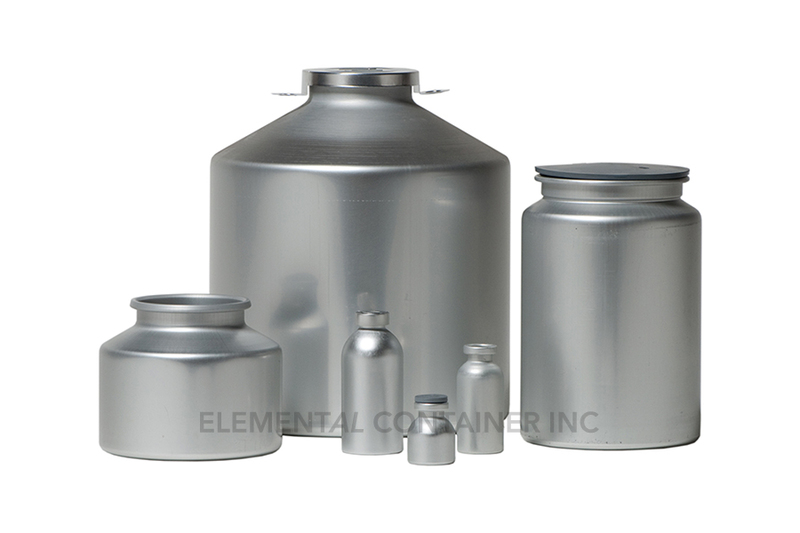 and an inner neck diameter of 102mm (4.01") and 135mm (5.31"), the Type 802 and 835 industrial aluminum bottle line is suited for shipping powders such as Active Pharmaceutical Ingredients (API). These bottles are often used for sterile pharmaceutical products. 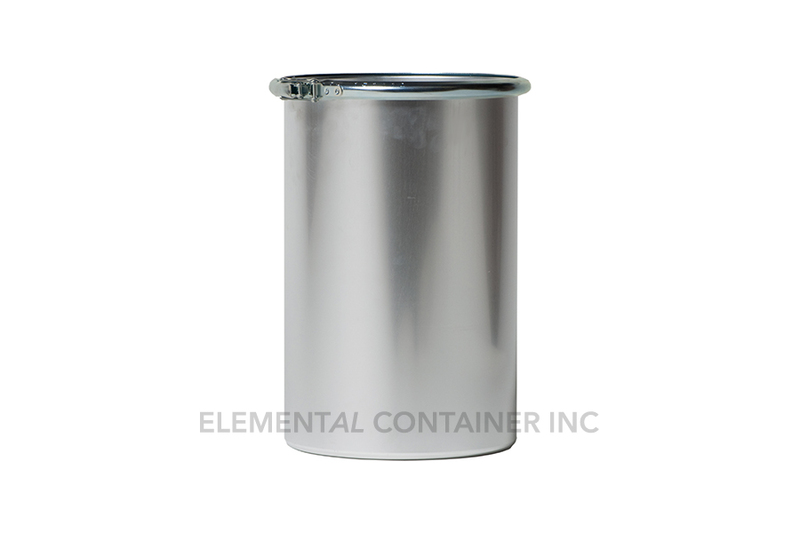 These wide-mouth containers are easily sterilized and sealed with chlorobutyl plugs and tamper-evident aluminum caps.